I can't promise to do a parody, but I will be on the lookout for how us blog folks react. Can LeBron even sing? I guess when you're rich, it really doesn't matter. 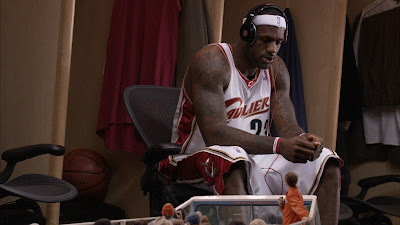 I just noticed that Lebron sits on an Aeron. Must be nice. Alana, you're right--those old piano spots were getting *real* stale. 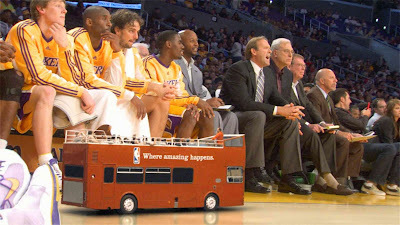 I'm a little worried about this tour bus looking amateurish, but if they do it right (as it sounds like they might! ), this could be a hilarious campaign.